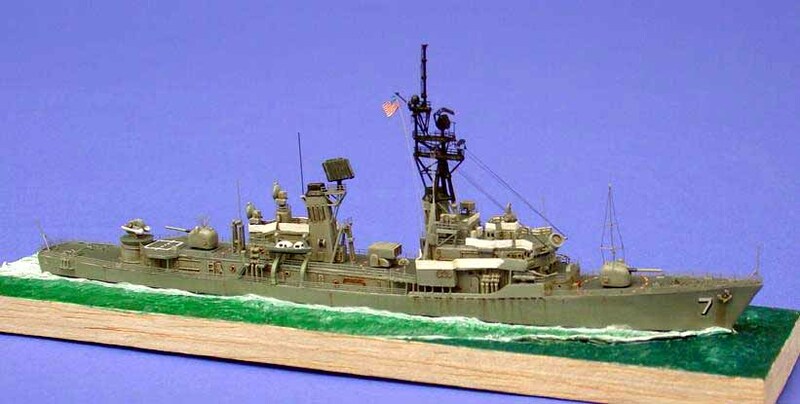 This is 1/700 Dragon's Charles F. Adams built as USS Henry B. Wilson DDG-7 in her late 1980s configuration. Radars are from GMM's Modern USN and JMSDF set. Railings are from Tom's and GMM. Added details include various platform and mast supports, additional buckhead details, propeller guards, etc.